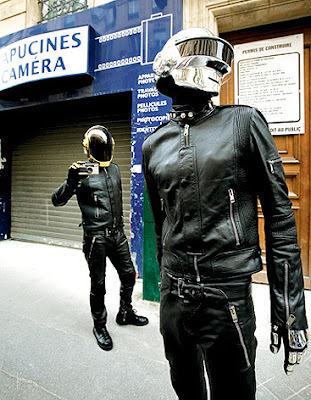 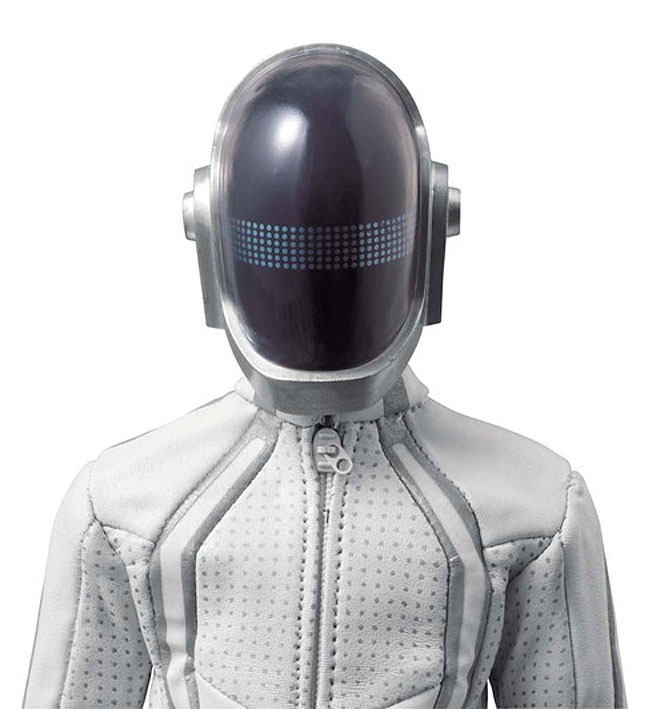 Daft Punk will make a cameo appearance in the upcoming 2010 Disney film "Tron: Legacy". 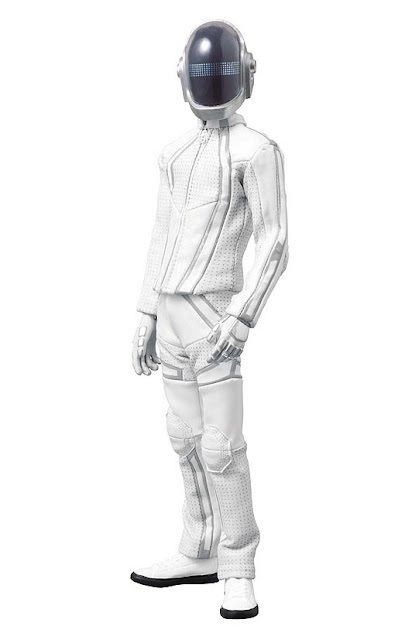 And from Medicom Toys will come this set of RAH (Real Action Heroes) Daft Punk: Tron Legacy Version 1/6 scale 12-inch figures of Guy-Manuel de Homem-Christo and Thomas Bangalter. 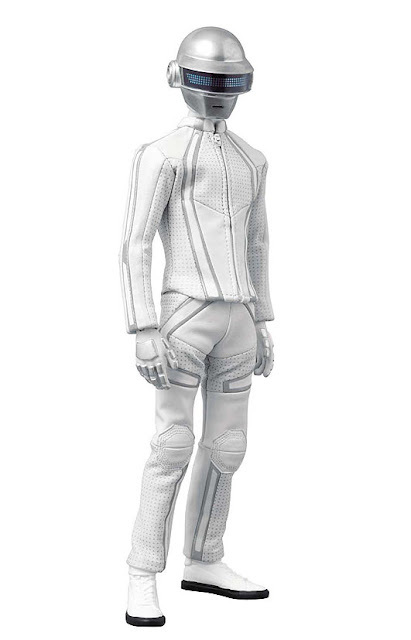 Looks most interesting indeed. 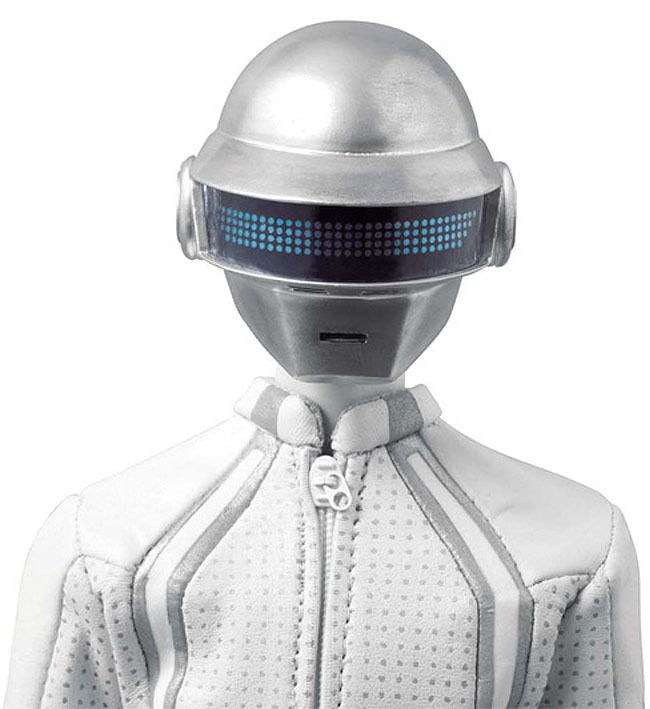 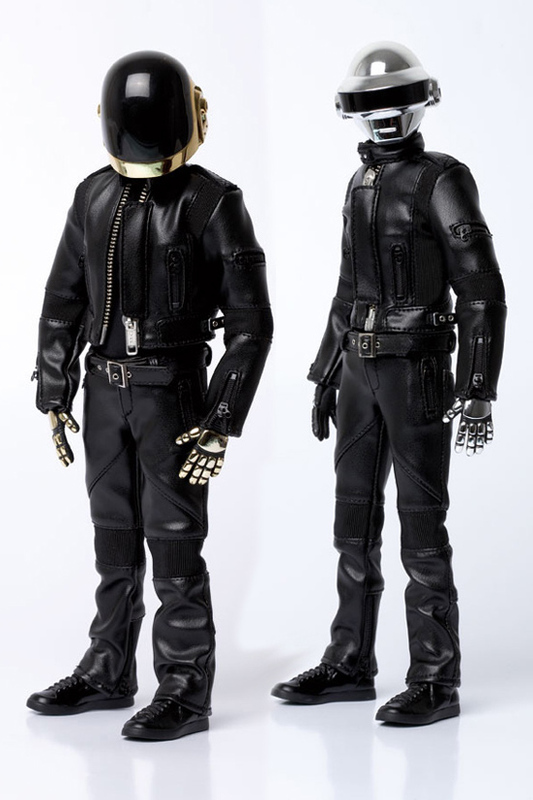 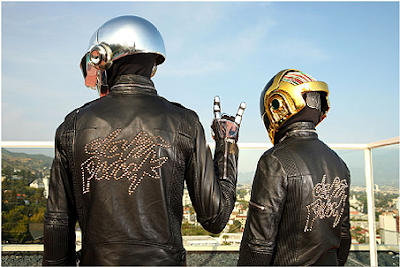 Medicom Toys had already released a pair of 1:6 scale Daft Punk figures earlier, in their "Human After All" black leather jacket and pants, and futuristic robot headgear. The Japanese have a thing for robots and robot costumes, and these should do well, especially in Japan. 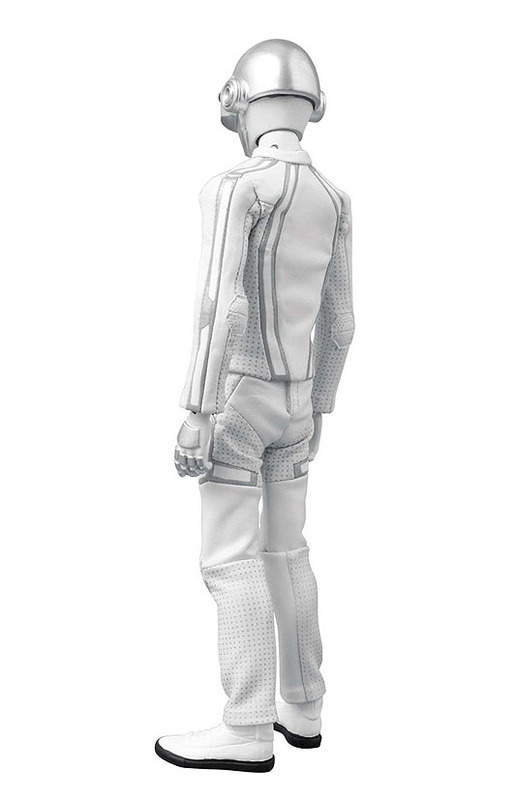 The first release is impossible to find now. Extremely rare, well its good that medicom is releasing em again! I am happy that the new outfits look much more "in-scale" than the old release! 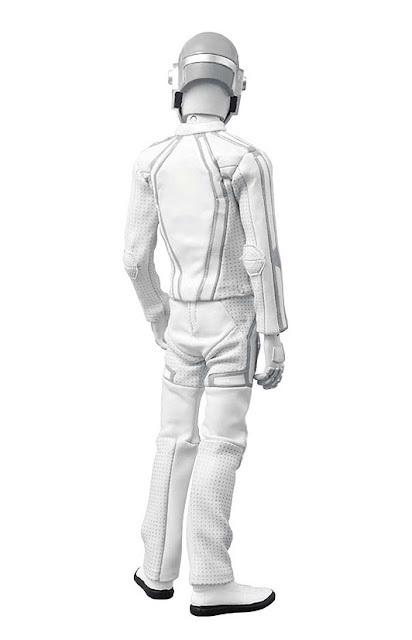 Sure hope Hot Toys gets their licence, Medicom 1/6 figures still look to doll like.